you'll love Much Ado About Madams! 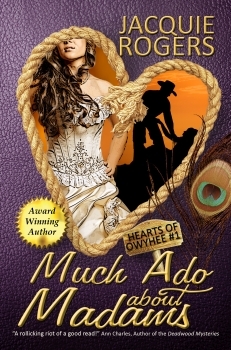 Much Ado About Madams is the first book in the Hearts of Owyhee series, all set in Owyhee County, Idaho Territory, during the 1880s. All content, including graphics copyright © Jacquie D Rogers 2005-2015, All rights reserved.